8 Key Trends in Dairy Nutrition is one of our most popular reports. Written as a practical guide to help you plan your strategy and new product development, it shows out very clearly how the trends are developing, and how they will develop in the future. 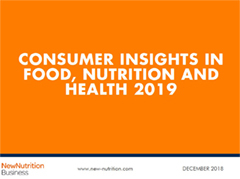 This report containing 57 charts provides a snapshot of consumers' beliefs and attitudes about food, diet and nutrition. We interviewed over 3,000 consumers equally split between the UK, Australia, Spain, Brazil and the US. Over 500 Chinese consumers were also interviewed about specific topics. This is the most useful report you will read all year. 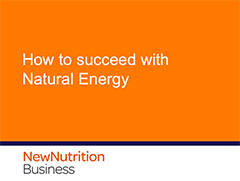 It will enable you to understand the most important shifts in health and nutrition, how they are changing the food and beverage market, and what the opportunities are. The internet has become the key way for consumers to learn about food, nutrition and health, and to share interesting new ingredients. 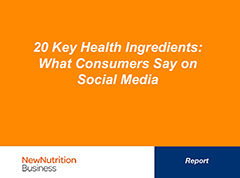 Whether you are a product developer trying to select new ingredients or an ingredient supplier trying to figure out commercialisation strategy, it’s important to keep an eye on how health ingredients are discussed in social media. 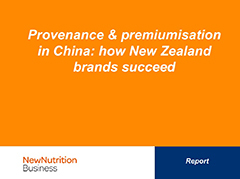 Products with Provenance – a clear and positive connection to a country or process – have become a major growth opportunity. In the major cities of Asia, a growing percentage of consumers want products that are ‘natural’ and have a strong back-story about a place or traditional/artisanal production. Snackification has become one of the biggest drivers of change and opportunity in the food industry. Snacking, mini-meals and food on-the-go are at the centre of consumer preferences, with novelty-seeking consumers willing to try out new tastes, new ingredients and new product types. Thanks to innovation by both start-ups and big brands, people can buy snack types that would have been almost unimaginable five or 10 years ago. And they are willing to pay a premium if they taste good. From Australia to the US to Europe, companies large and small are increasingly offering products that are low-FODMAP or FODMAP-friendly. This report shows how FODMAPS is an opportunity for businesses both large and small. It explains the science, illustrates the trend with media research and nine brand case studies, and sets out the strategies companies can follow to be successful. FODMAPS is an eating pattern that has every chance of becoming as important as gluten-free. It is emerging rapidly and wise companies will take it seriously. 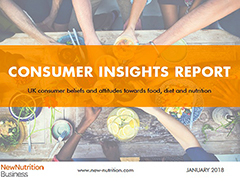 This report provides a snapshot of consumer's beliefs and attitudes about food, diet and nutrition. We interviewed more than 2,000 consumers, of whom 50% live in the UK and 50% live in the US, Australia or Spain. The focus of this report is on UK consumers, but any significant differences with other markets will be pointed out.